It’s good to see another proper Mitsubishi added to the range. Back in the day, Mitsubishi owned the SUV market with the Shogun, a massive seller in the UK and one of the first and best SUVs. 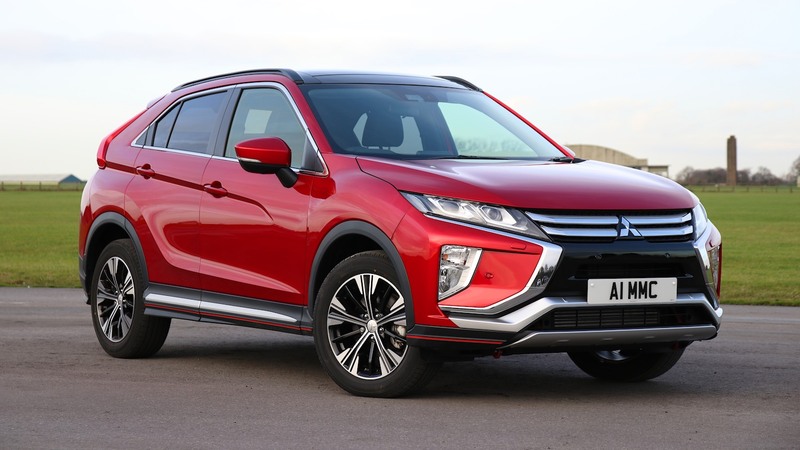 What Mitsubishi has done with the Eclipse Cross is release a new SUV that has the necessary appeal needed to join in this crowded market, the Eclipse manages to be likeable, fun to drive, spacious and attractive. The driver who delivered the car to me commented “I like the Eclipse Cross it’s not as pretentious as some,” after thinking about it, I agreed. Now after a few days trundling around Dorset, I too like the Eclipse. It does what’s on the tin, in a competent, enjoyable way. The Eclipse features a coupé like profile with the roofline and the distinctive split screen rear-spoiler. With diesel cars being slapped down for the time-being, it’s slightly strange, Mitsubishi has released the Eclipse with just one choice of engine, a 1.5-litre turbo petrol, maybe not such a good move, but we will wait and see. It’s not a bad engine choice at all with 163bhp and its excellent mid-range torque is well suited to the SUV. On the road, the Eclipse is relatively refined and responsive. Acceleration comes in at 9.2 seconds 0-62mph -10.3 seconds dependent on the auto or manual transmission. It adds up to a feeling of a well-built engaging car to drive and with Mitsubishi’s enviable reputation of building 4×4 vehicles since 1936, should you require it over the 2wd, the Eclipse Cross does the job. Good visibility with the high-up command driving position is welcome. The leather seats are easy to adjust and very comfortable on longer journeys. Overall the Eclipse is very well appointed and feels like its robust and built to last. It’s all up-to-date and with tactile, soft-touch plastics and an easy to use 7″ infotainment system available in the upper-grade models. The system uses Apple CarPlay or Android Auto, now this is a good thing as there is not a built-in SatNav, so you will need your phone and a cable for maps. I must admit that these days I always use Apple Maps or Google Maps for my journeys, so this is fine with me. The dashboard also features a touchpad controller for the screen connectivity which can access many of the functions. You may, however, dislike the horizontal bar spoiler right in the line of vision in the rear view mirror, but after a few miles, it does get forgotten. However, it does enhance the dynamic, sporty appearance of the Eclipse outside the vehicle. It still surprises me, but following the success of the larger Outlander PHEV from Mitsubishi, I was expecting a possible hybrid alternative here for the Eclipse. There are two choices on transmission a six-speed manual gearbox, but this is only available on the front wheel drive option and a CVT Auto, which was the one I preferred. CVT seems to have come of age these days and this one did an excellent job with its pre-set ratios giving all the feeling of a regular automatic. It’s spacious inside and storage space abounds, easily big enough for four adults and the boot capacity is 341litres – 448 litres depending on the position of the rear seats which can be slid forward for more space or backward for more leg-room. Fold’em and the space available is 1,122 litres. On the routes, I drove for my week in the SUV, mostly A-roads, around town and a little motorway official figures for fuel economy are 40.4 for the 4wd and 42.8 for the 2wd. In the week I drove the car, with quite a bit of town driving I averaged around 35mpg. The CO2 emissions are 151-159g/km. The Eclipse was awarded a maximum five stars in crash tests by Euro NCAP, making it a pretty safe choice for an SUV, the five-year (62,500-mile) warranty will add to its appeal giving potential buyers more peace of mind. The Mitsubishi Eclipse pricing starts at £21,275 – £29750 its pretty competitive for an SUV of its size and overall the equipment and specs offered are good value. Plenty of options are available as you go to the higher grade models. 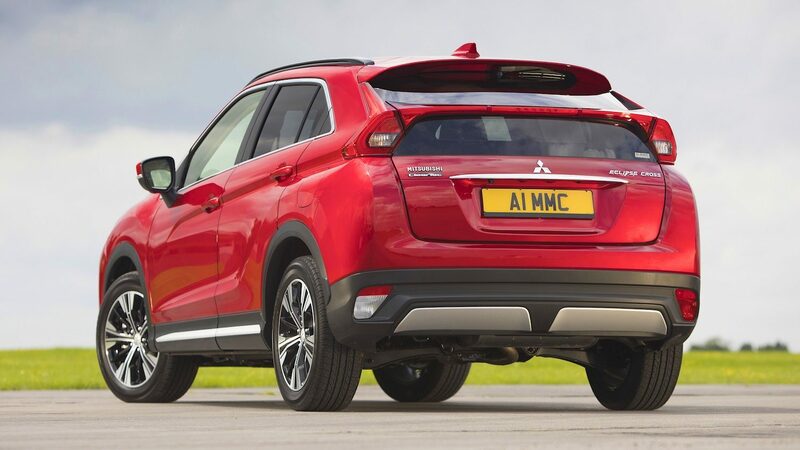 The Eclipse Cross will make a dependable addition to the choice available within the Mitsubishi range, the feeling of being unpretentious and qualified at all it does will prove attractive to customers.